With her ravishingly beautiful voice, her sensitivity to nuances in a poetic text, and her skill at molding the contour of a vocal line, it is no surprise to hear that she has been much in demand… This is a great new voice that you simply must hear. Sarah Rose Taylor lends her rich, dark mezzo to the lush texture of the work (Wagner’s Wesendonck Lieder). Taylor’s instrument is of a goodly size with a firm, nicely focused lower register and an expressive top… (She) gives a fine account of the songs (Elgar’s Sea Pictures). Not only is the album interesting for its repertoire tastefully and compellingly performed, but it makes yet another case for understanding the far-reaching influence of Richard Wagner’s “Music of the Future” on not only the late nineteenth century but on subsequent generations. Recommended! Ms. Taylor's ravishing voice…filled with lyrical tenderness and power as needed. I am very impressed with her vocal artistry. It is unforgettable and Sarah Rose Taylor is a marvel! There were five fine soloists...contralto Sarah Rose Taylor’s dialogue with the oboe d’amore in Qui sedes was graceful." 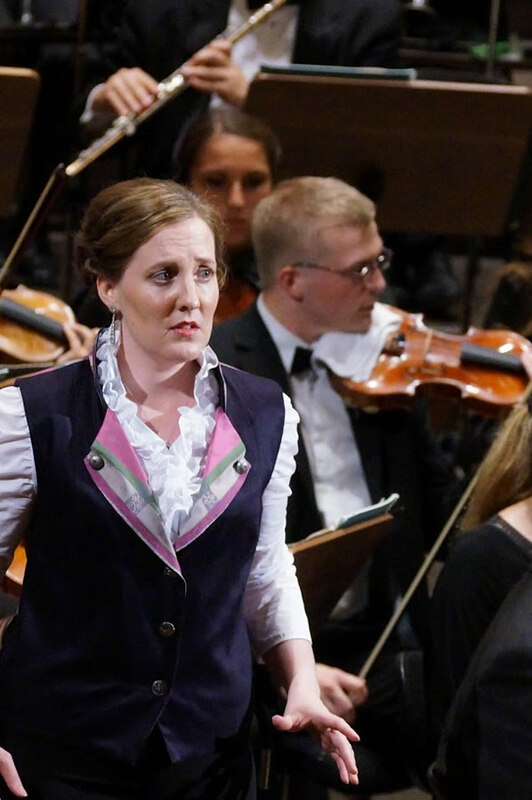 With mellifluous tone and colorful vocal palette, Sarah Rose Taylor deftly painted Elgar's Sea Pictures upon the imagination of her delighted audience. Her interpretation of the Wagner Wesendonck Lieder was similarly compelling. Further, if one closed one's eyes, it was not a single instrument but a full symphony orchestra that supported Taylor's performance; Mr. Potts is not only a fine accompanist but also a master of transcription! We were thrilled with Nigel and Sarah. The way they worked together was seamless and the balance was perfect. Nigel’s registrations were exquisite and his technique is dazzling. The choice of Elgar’s Sea Pictures was brilliant -it is rarely heard. Sarah did a beautiful job of interpreting the piece, Nigel’s transcription captured all the colors in the orchestra in a breath taking way. The audience loved the enchanting evening these two wonderful musicians brought to us. 'Se Romeo' from Bellini's I Capuleti e i Montecchi, Karen Kamensek conducting the AIMS Festival Orchestra, Congress Graz, Stefaniensaal. 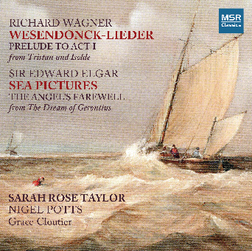 Sarah's debut CD, released by MSR Classics in April 2015, includes Wagner's Wesendonck Lieder, Elgar's Sea Pictures and 'The Angel's Farewell' from The Dream of Gerontius.